There is now new board available called Node 1.3. It is small evolution of previous version 1.2. 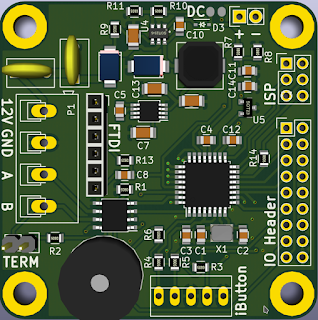 Mainly there are changes in IO Header pinout and possibility to add thermometer based on MCP7900A. MC7900A is linear active thermistor IC. That is analogue temperature sensor that converts temperature to analogue voltage. 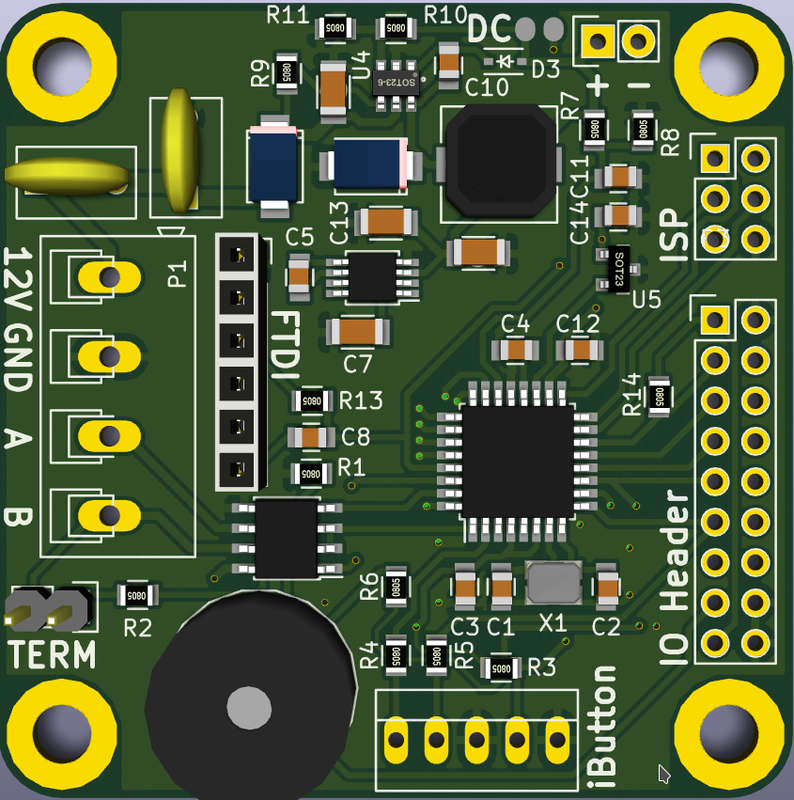 It’s a low-power sensor consuming 6 μA (typical operating current). And with little bit of calibration at room temperature it can provide ±0.5°C from 0°C to +70°C accuracy. Other then that some labelling was added and footprint of RS485 connector have changed. Schematic is preset as usual in my download folder.